I thought one of the first posts I posted in this blog should sort of set the tempo or show how far I would go with personal information within this blog. This post to me is extremely personal, and delves into something that scares me and bothers me daily. 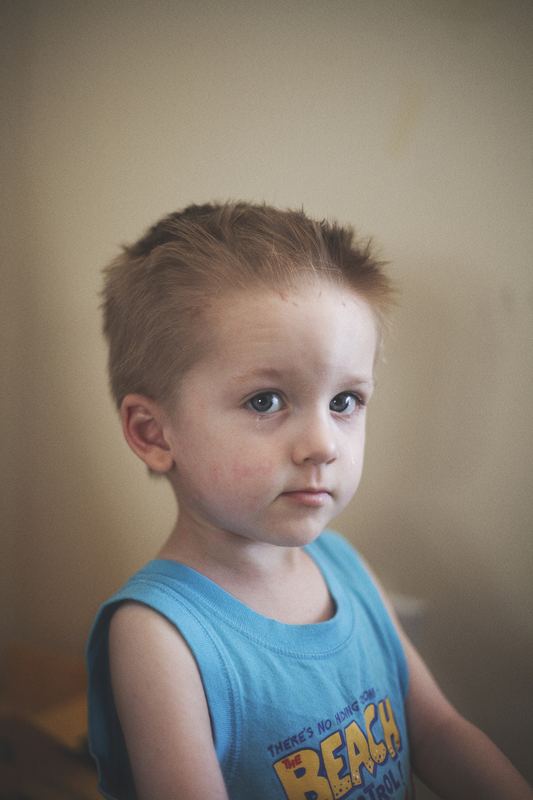 My brother Colin is two and a half years old and has a skin condition that is considered a form of eczema. He scratches at his arms, legs and sides along with his face, leaving marks and bloody patches all over his body. The condition seems to be stress oriented and he is very easily embarrassed if his marks are pointed out to him. I love my brother and hope that his condition eventually fades and doesn't hurt him further into his life.